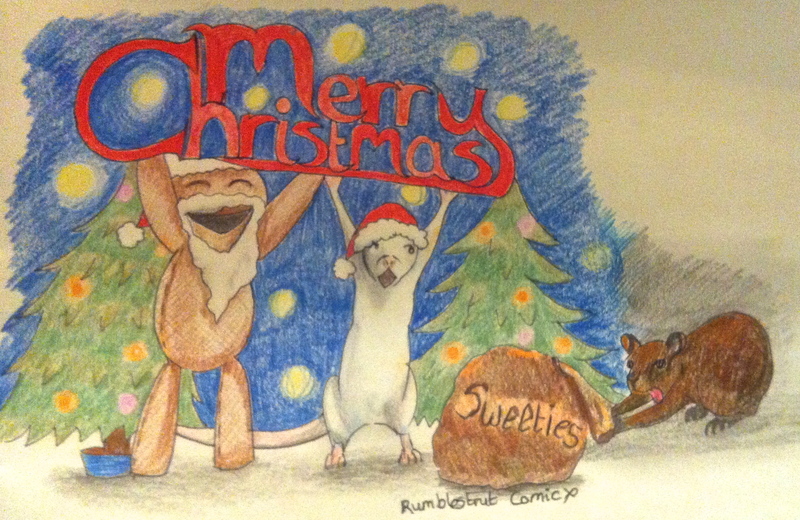 Thank you all for your support as I have found my feet in beginning Rumblestrut (web) Comic. I am now armed with a scanner and a little-black-book full of ideas that I hope to share in 2014. Have a wonderful Christmas tomorrow and I wish you all a fantastic New Year. Wishing you all the very best for a fantastic 2014! !